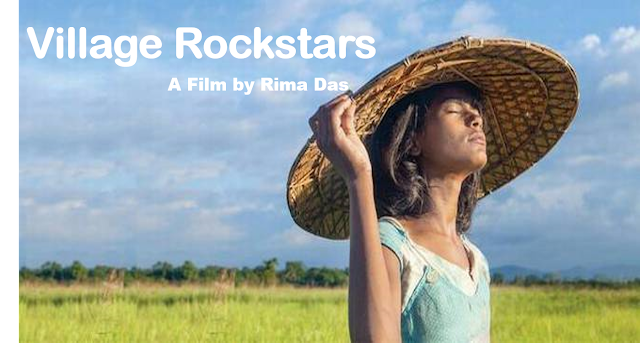 This is a very first time an Assamese film got an official entry to the Oscars from India and the movie is none other than the Rima Das ‘Village Rockstars’. After the news break out, The Indian Express reached out Rima Das on phone and she answered with, “Thank you thank you thank you!”. You can guess with this how much she is excited and proud with all this. The film was premiered at the 2017 Toronto International Film Festival (TIFF) and recently got the ‘Best Feature Film’ at the 65th National Film Awards. Village Rockstars won over other contenders like Meghna Gulzar’s Raazi, Siddharth Malhotra’s Hichki, Sanjay Leela Bhansali’s Padmaavat, Tabrez Noorani’s human trafficking drama Love Sonia, Ashwin Nag’s Savitri biopic Mahanati, Chezhiyan’s Tamil drama To-let, Rahi Barve’s horror-thriller Tumbbad, Sukumar’s Telugu period film Rangasthalam, Rahul Bhole and Vinit Kanojia’s Gujarati film Reva and Deb Medhekar’s Kabuliwala adaptation Bioscopewala. The most interesting thing is that this movie struck out on a very less budget and almost no crew but Rima Das did a great job with her skills and passion for movies. The film was made over four years and used the cast of not known actors and many no professional actors. The most of actors sourced from the village of Kalardiya. Village Rockstars is a coming-of-age drama film written, directed, edited and co-produced by one and all Rima Das. She has done most of the thing with all this. The film follows the story of a girl Dhunu who have a dream of owning a guitar and for this, she decided to save the money but as flood destroyed her family crops and her priority changed over time.